DDC's 79C2040 multi-chip module (MCM) memory features a greater than 100 krad (Si) total dose tolerance, dependent upon orbit. 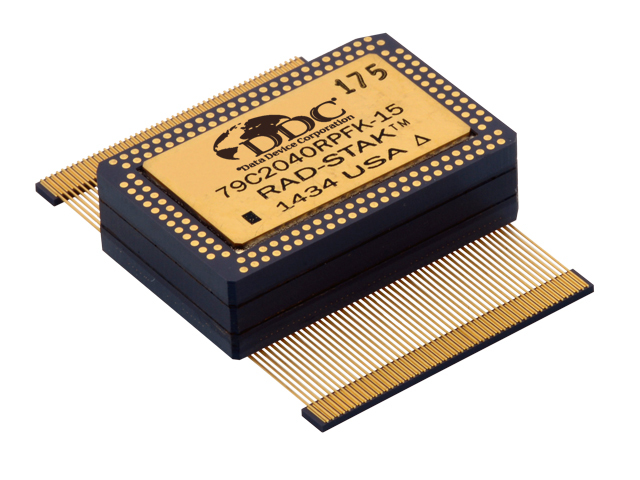 Using DDC's patented radiation-hardened RAD-PAK MCM packaging technology, the 79C2040 is the first radiation-hardened 20 megabit MCM EEPROM for space application. The 79C2040 uses twenty 1 Megabit high speed CMOS die to yield a 20 megabit product. The 79C2040 is capable of in-system electrical byte and page programmability. It has a 128 word page programming function to make the erase and write operations faster. It also features Data Polling and a Ready Busy signal to indicate the completion of erase and programming operations. 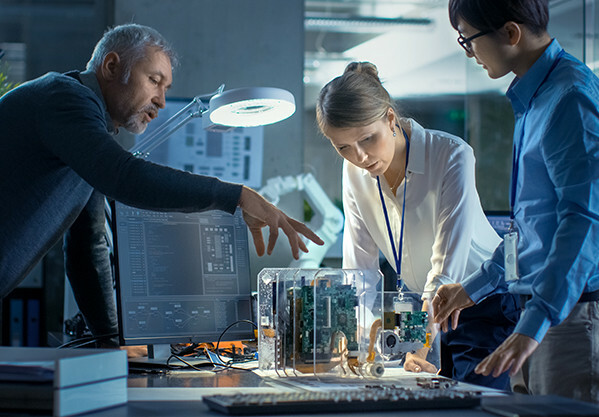 In the 79C2040, hardware data protection is provided with the RES pin, in addition to noise protection on the WE signal and write inhibit on power on and off. Software data protection is implemented using the JEDEC optional standard algorithm. DDC's patented RAD-PAK packaging technology incorporates radiation shielding in the microcircuit package. It eliminates the need for box shielding while providing the required radiation shielding for a lifetime in orbit or space mission. In a GEO orbit, RAD-PAK provides greater than 100 krad (Si) radiation dose tolerance. This product is available with screening up to DDC's self-defined Class K.